Kichler LEDÂ linear bathÂ light is perfect for any bathroom space. It features a bright white finish and metal detailing to match your existing dÃ©cor. 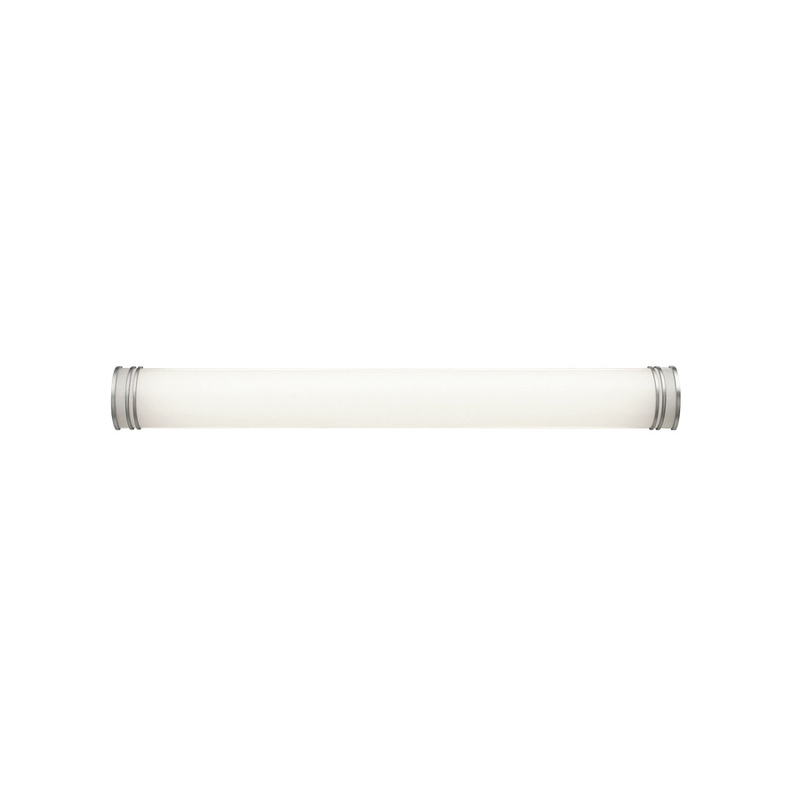 This 2-light fluorescent, 50-Inch linear bath light has a voltage rating of 120-Volts and power rating of 32-Watts. LED linear bath light meets UL and Title 24 standards.